Sick walk-in hours are from 8:30 am to 9:15 am on Monday, Tuesday, Thursday and Friday. Please call for appointments at other times. Please call before 5:30 pm (5:15 pm on Friday) if your child needs to be seen for a late same-day sick appointment on weekdays. Please call before 12:30 pm if your child needs to be seen for a same-day sick appointment on weekends. There are no walk-in hours on weekends. Please click on the "Prenatal Class" link to the left for our schedule of prenatal and other health-related classes. has been recognized as one of the top Raleigh Pediatrics practices. To help you get acquainted with our practice, we have provided the important information you need on our website. 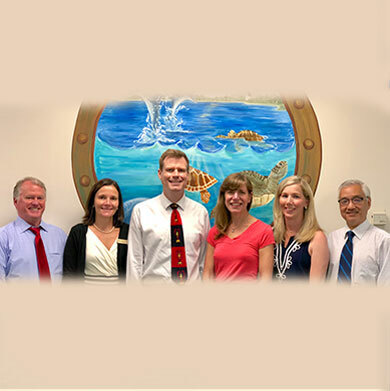 Please browse these pages to learn more about our pediatricians, our services, our philosophy, office hours, contact information, prenatal class information and patient forms. You may also use this website to access your child’s medical information and clinical visit summaries via our patient portal. Links from this site can provide you with expert and up to date medical advice from the American Academy of Pediatrics and other professional organizations. When you call Carolina Kids during our office hours, we pledge that you will always speak with one of our professional and courteous staff members from the moment you finish dialing – no automated phone trees. When you call Carolina Kids after office hours, you will always receive a rapid and professional response from one of our pediatricians or a pediatric nurse. So please do not hesitate to contact us if you have any questions or concerns! 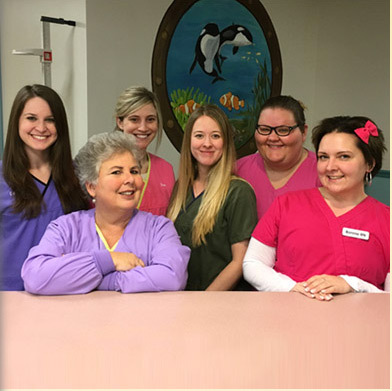 Meet our friendly, experienced Carolina Kids pediatricians and staff! All our pediatricians are fellows of the American Academy of Pediatrics, and maintain the highest level of accreditation in pediatrics. We pride ourselves in being an exceptional clinic where children come first, and where physicians still take the time to treat every child with the individual attention with which we would want our own children to be treated. We are pleased to provide you with direct access to our on-call physician when the office is closed. In order to reach our on-call physician when the office is closed, just call our main office number at (919) 881-9009. You will be able to access our on-call physician directly after hours. Please use this service for urgent medical concerns that you believe should not wait until routine office hours. You should expect to be able to speak directly with the on-call physician within 30 minutes or less of your call. In general, please use our patient portal or call during office hours for non-urgent concerns, including non-urgent prescription refills or administrative/scheduling questions. Through our patient portal, you may also send a message to your child's physician through direct messaging. Patient portal messaging is designed for non-urgent or chronic health concerns, and you may expect an electronic response from your child's physician within 24 hours. For any true medical emergencies, please call 911.